Mike earned his undergraduate degree in economics from Brigham Young University in 1984. He then attended the J. Reuben Clark Law School at Brigham Young University where he graduated in 1987. During this time, Mike served as editor of the Brigham Young University Journal of Public Law. Mike was named to the SuperLawyer list as a prominent attorney for 2013 through 2017. Prior to joining the firm, Mike served as a judicial clerk for the Honorable William E. Eubank of the Arizona Court of Appeals. 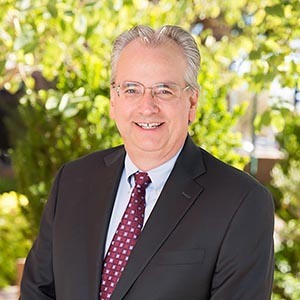 He is a member of the Arizona State Bar Labor and Employment Section, the Arizona Employment Lawyers Association (AzELA), the National Employment Lawyers Association (NELA), and the American Association for Justice. Mike often speaks to students at Sandra Day O’Conner School of Law regarding employment and labor law. When Mike isn’t working, he enjoys cooking and spending time with his children and grandchildren.